June 15, 2014 is just around the corner and it is that time to scramble and find Dad the Perfect Gift! I thought it would be fun to put a little twist on my Father’s Day gift guide by using the 5 Love Languages to help us find something meaningful this year for the Special Dad’s in our lives! For those who are not familiar with the 5 Love Languages, they come from a book called The 5 Love Languages. The book explains how we all tend to receive and give love in different languages. They are physical touch, words of affirmation, acts of service, quality time, and receiving gifts. Gift certificate for a full body, or half body massage by your favorite professional Massage Therapist. Homemade gift certificate for a good old foot scratching or rub. A jar of hugs. Decorate a cute mason jar and insert strips of paper that say “free daddy bear hug” from your baby bear cub(s). Homemade gift basket made up of manly smelling shower gel, and a new luffa or back scrubber. Say something like We wanted to “Shower” You with love and hugs on Father’s Day! Make sure the kids attack Dad with lots of hugs after he reads his card! Homemade massage gift basket containing essential oils, candles, and a soft soothing music or thunderstorm sound track. Be more mindful to Dad’s needs on his special day by holding his hand, sitting a little closer to him on the couch, extra hugs and kisses for your MAN today! Get out the construction paper, card stock, poster board, markers, crayons, pens, etc.. 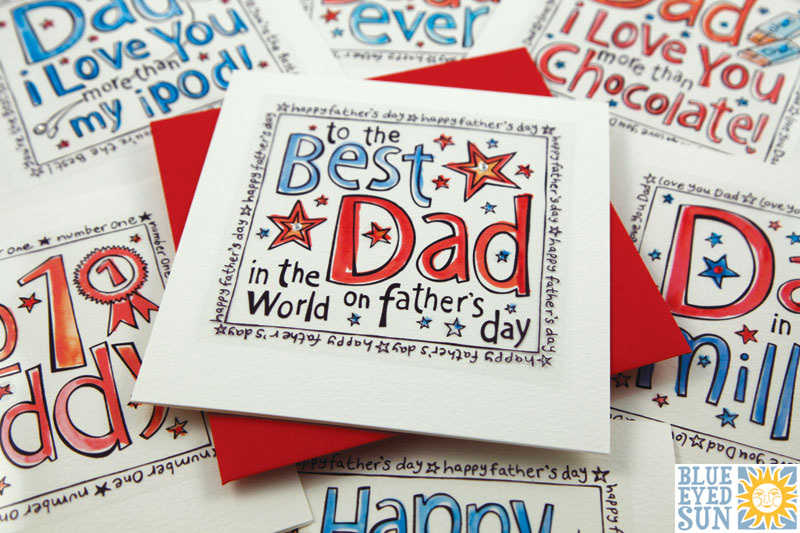 Create a beautiful hand made Father’s Day card and or banner and let Daddy know how much he means to you and how much he is loved! Pick out a sweet Father’s Day card from your favorite store. Sticky Notes- Post Sticky Notes all over the house with words of love for Daddy. Make up a cute song and sing it to Daddy, or find Dad’s favorite song and rewrite the words to make it all about him! Make T-shirts that say “My DAD is AWESOME!”, “MY DAD ROCKS!”, “MY DAD is #1”, and wear it on Father’s Day so the WORLD can see how special Dad is! Homemade Card with a list of what makes Your Baby Daddy the best! Buy a sweet Father’s Day Card from your Wife at your favorite store. Make a collage of words that describe him out of magazine clippings. With Mom’s help cook Dad his favorite breakfast in bed! With Mom’s help cook Dad his favorite lunch or Dinner. Bake Dad his favorite Cookies, cake, dessert. Team work- Take the load off Dad for one whole week. Offer to do all of his DAD Chores; take out the trash, mow the yard, feed the animals, etc.. Treat Dad to Movie time whether is be at the Theatres or at home! Buy him tickets to his favorite Sports team game! Go to the amusement Park! Go to the water Park! Go swimming at the pool! Make a Map and Map out the whole day full of activities and fun! Book a get away vacation for just the two of you to his favorite place to unwind and relax. Make him a DATE NIGHT coupon book. Let him pick the nights where you stay up late and watch a movie together alone, or hire a sitter and go out for dinner and a movie, etc. There are countless things to do with this Dad. All he really cares about is just spending time with you! Portable mp3 stereo system and speakers for outdoors. Homemade MAN bouquet that consists of his favorite beverages, beef jerky, cheese, crackers, chips, candy, and gift cards, etc. I hope this guide helps spark your imagination and aides you into finding the perfect gift for that Special Dad in your life!